Darren Archer Jr. is currently a 10th grader at Petersburg High School on the B honor Roll. Darren started playing AAU Spirit football at the age of 10 in which he was a member of the undefeated 10U team in 2010. He is a member of the PHS Golf Team and is currently conditioning for the PHS baseball team where he aspires to be a pitcher. Darren’s Extra-Curricular Activities and/or Community Involvement include - JROTC were he received a promotion to 1st Sargent in 2015. 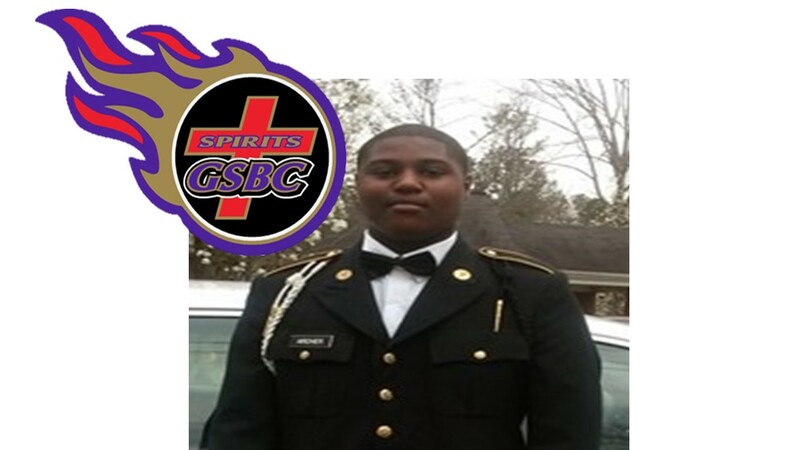 His awards and honors include being voted Most Dedicated Player for the 2015 Golf Season and JROTC 2014, 8th Grade Most Dedicated Cadet. He worked as a coach with the Petersburg Recreation Dept. during the summer of 2015 and with the JR Sports Camp as a Coach. While he has not decided on his aspirations or career goals, very high on his career interest list is the US Military (Marines). His favorite subject is History.